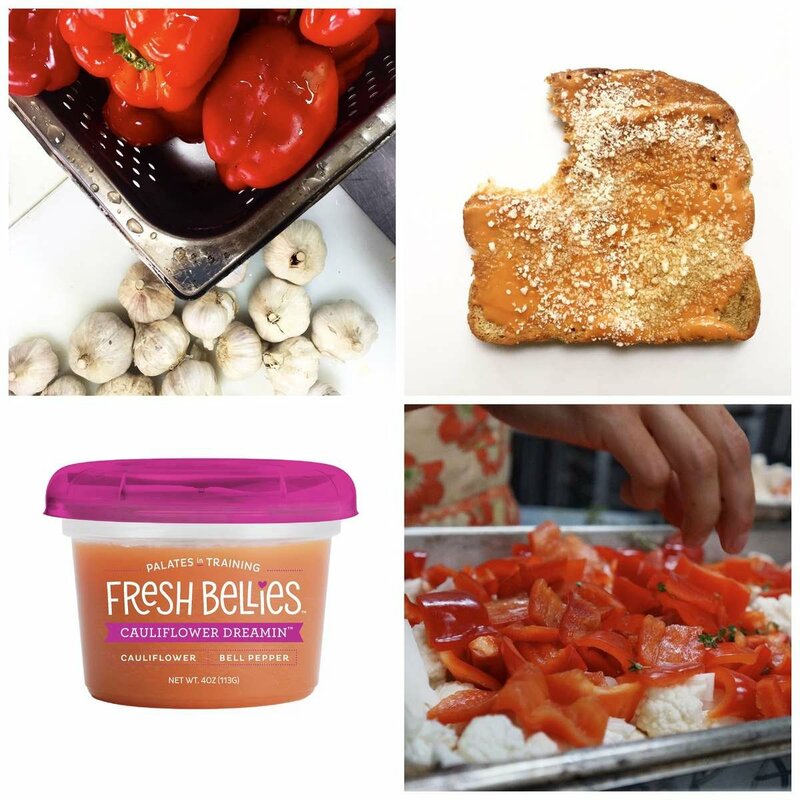 Making a historic debut in baby food, cauliflower and roasted bell peppers take center stage. Seasoned with garlic and thyme, this delish meal redefines baby purees and is a family favorite. FOR TODDLERS: Pour over pasta, use as a dip, or spread this delicious veggie puree onto whole grain toast. Drizzle with good olive oil, sprinkle with a bit of salt (optional), and finish off with a dusting of Parmesan cheese. Cut into squares and serve! ﻿NOTE: WE DON'T USE ANY ADDITIVES OR STABILIZERS IN OUR FOOD SO MAKE SURE TO STIR THE PUREES WELL TO ENSURE ALL THAT DELICIOUSNESS COMES TOGETHER!